Hot News! 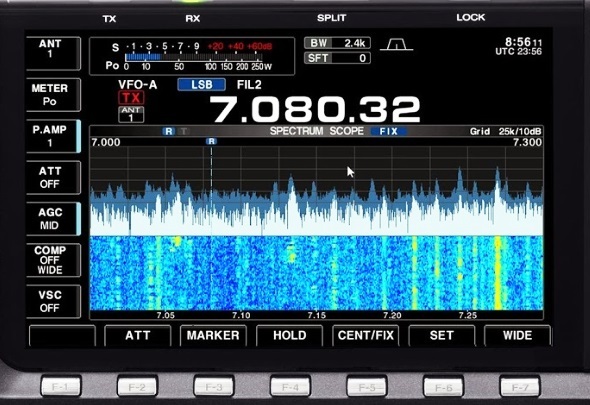 New IC-7700 V2.20 Firmware was released on 20 July 2018. Click link below. Fig. 4: IC-7700 1st IF roofing filters. Fig 5. IC-7700 RF BPF bank. Note the large toroidal coils. 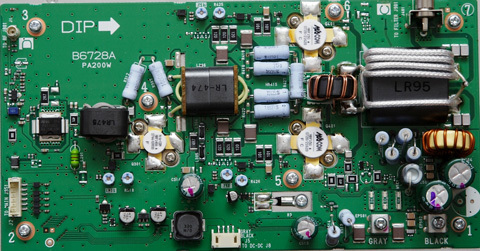 Fig.6: IC-7700 200W PA board. Click for larger image. Fig.7: IC-7700 spectrum scope, ±2.5 kHz span, SLOW sweep. Photo courtesy ON6SAS. One DSP (TI TMS320C6727B) is dedicated to the transmitter and receiver, and the other (TI TMS320C6720B) to the spectrum scope. These are of a later generation than the TMS320C6713 used in the IC-7800. HF/6m transmitter with a MOSFET PA delivering 200W output at full duty cycle. 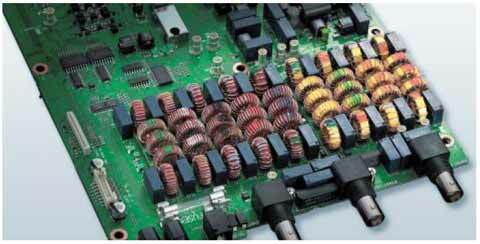 The PA utilizes a pair of MRF150 MOSFET power devices. The new Rev. 12/13 PA employs a single ST Micro STAC2942 output device. Quiet, built-in switch-mode mains power supply. Single HF receiver with I/Q second mixer, offering +40dBm 3rd-order intercept point*. The single receiver should be seen not as a disadvantage, but as a plus. The single receiver allows no-compromise RX performance at a reasonable price; BNC sockets on the rear panel, and CI-V, allow easy connection and synchronization of a second Icom transceiver such as the 756Pro3 as a secondary receiver. Many prospective IC-7700 buyers already own an IC-756Pro3. Add the IC-7700 to your existing Pro3 for the perfect contest station; use the IC-7700 as your main transceiver, and the IC-756Pro3 as a spotting receiver. 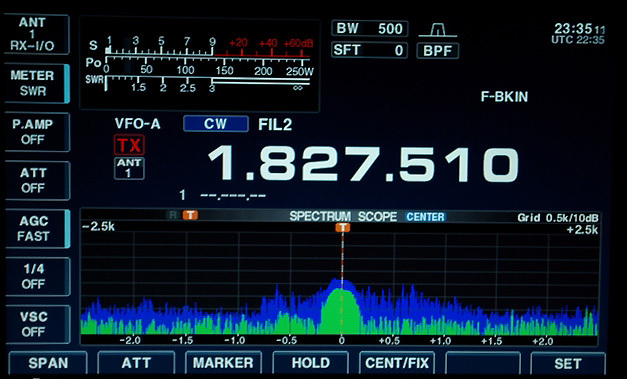 Upgrade from your IC-765 or IC-775DSP, and get the benefits of a spectrum scope. Built-in "Digi-Sel" automatic tracking RF preselector. The built-in tracking preselector, and relay-switched front end, offer unrivalled strong-signal HF performance. Built-in high-speed automatic antenna tuner. The tuner covers the HF and 6m bands. As provided in the IC-7800. The filters are optimized for lowest IMD. Each filter is mounted on a plug-in daughterboard. The precision OCXO with 10 MHz REF I/O allows the IC-7700 to clock other equipment, or to be clocked from a higher-level master clock source. 7" color TFT LCD display. The display includes a simulated analogue multi-function meter. Rear-panel VGA socket for external video monitor. Multi-function spectrum scope with configurable resolution bandwidth (RBW). RBW is configurable by selecting scope span and sweep rate. The adjustable RBW permits spectral analysis of received signals. IMD products and spurs can be displayed. Fig. 6 is a typical scope screenshot. The green trace is the real-time spectral display; the blue trace is the peak-hold display. Note the low "grass" level in the absence of signals. Built-in RTTY/PSK31 modem requiring only a USB keyboard. 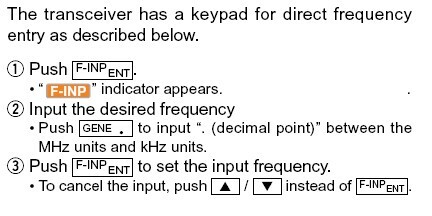 The built-in RTTY/PSK31 modem allows use of the IC-7700 as a complete digimode terminal, requiring only a keyboard. This is great for semi-portable operation (e.g. Field Day) or when shack space is at a premium. IF-DSP notch filter with adjustable parameters. The notch filter shape factor is selectable in 3 steps, and its maximum stopband attenuation is 70 dB. Multi-function noise blanker implemented in DSP. Separate, high-performance 6m receiver front end. Front-panel USB ports for USB memory drive and keyboard. The USB memory drive socket permits use of pocket USB memory drives. No CF card is required. * at 50 kHz test-signal spacing. Download the Ver. 2.20 upgrade and accompanying manual here. This upgrade was released on 21 May 2015. Note: All versions of the IC-7700 are upgradeable to Ver. 2.10. View the new Ver. 2.0 and higher spectrum scope/waterfall and audio scope screen modes. Watch my IC-7700 Ver. 2.0 Firmware presentation at Dayton 2014. 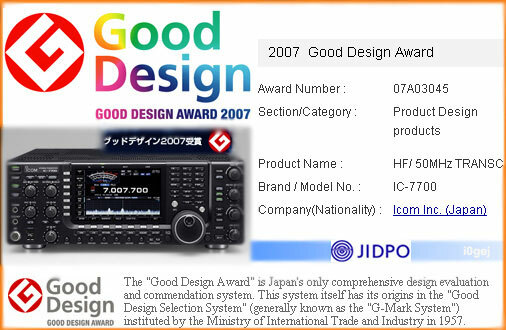 This IC-7700 version was released in April 2011. It incorporates redesigned PA200W and FILTER Units. 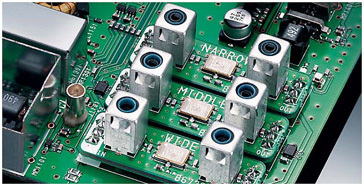 The new PA200W uses a single STMicroelectronics STAC2942B dual MOSFET power device in its output stage. The serial number prefix begins with "1" e.g. 1201234 (US/Canada), 1301234 (EU), 1701234 (UK). The previous serial number ranges begin with "0" e.g. 0201234 (US/Canada), 0301234 (EU), 0701234 (UK), and have the earlier PA200W (2 X MRF150) and FILTER Units. Q: Why was Dual Watch omitted? A: Provision of Dual Watch would most likely have pushed the price well above the USD 6K target. Q: Then how can I monitor my transmit frequency in split operation? A: By pressing the XFC (Transmit Frequency Check) button. RS-BA1 V1.96, compatible with IC-7700 Firmware V2.20. RS-BA1 User Manual V9. Use the IC-7700 as a bench spectrum analyser! How close were we with the "IC-7X00"? Copyright © 2007-2018, A. Farson VA7OJ/AB4OJ. IC-7700 information courtesy Icom Inc. Images courtesy Icom Inc. except where noted.